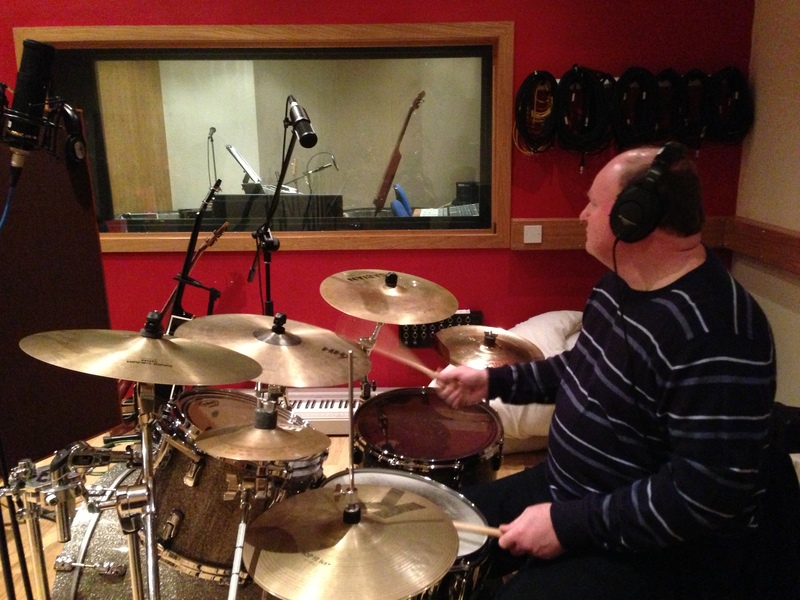 at the Old Library Theatre, Leeming St, Mansfield, NG18 1NG on Sunday 3rd November 2013, at 7.30 pm. 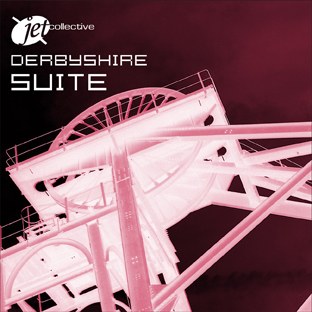 The JET Collective having expanded the new suite of music ‘JetStream’ are going to perform the full suite again this Sunday, November 3rd 2013 in the wonderful theatre space of The Old Library, in Mansfield. This intimate theatre is the ideal setting for the suite, with great acoustics and relaxed cabaret setting. 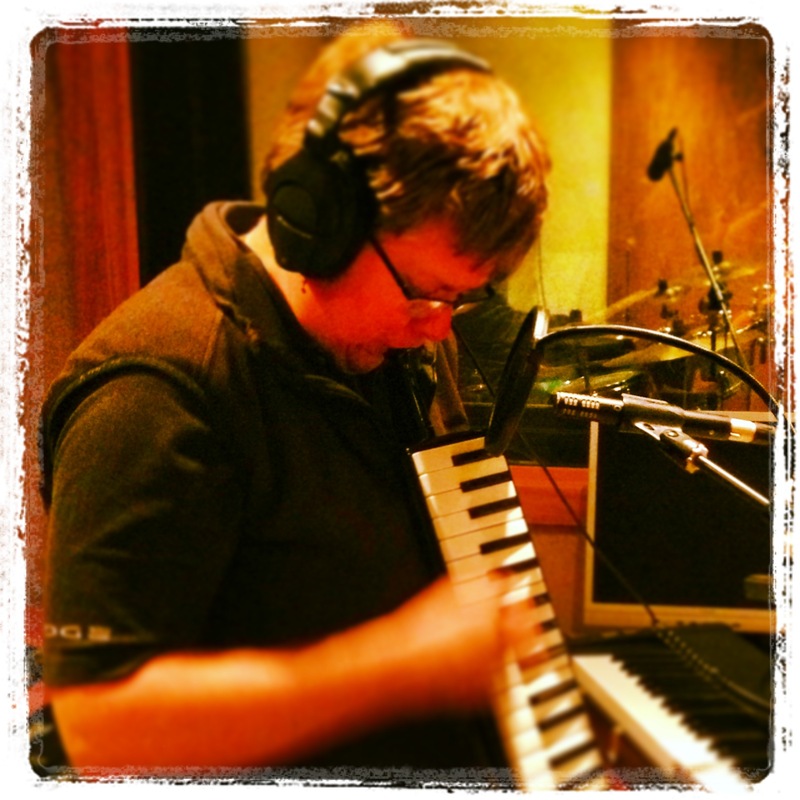 The initial performances of this music have gained rapturous approval. ‘JetStream’ will be performed in two sets with a short interval. 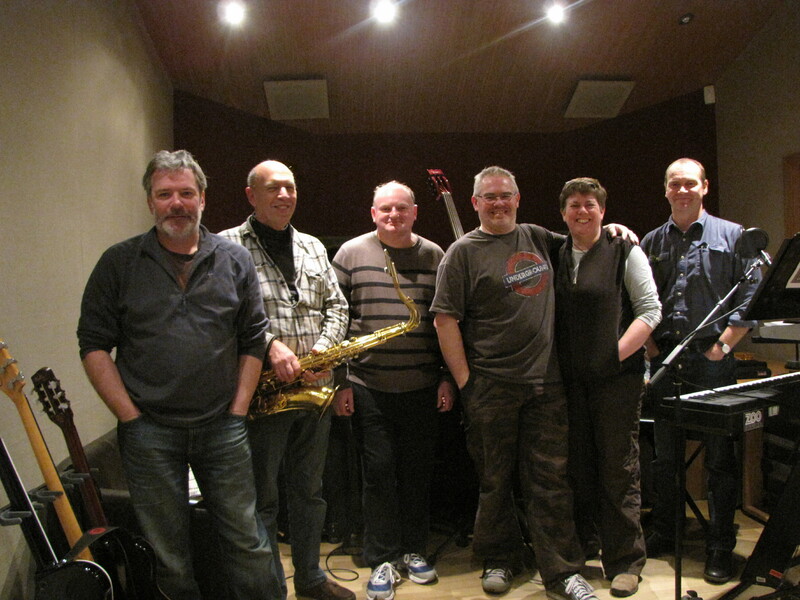 JET Collective includes Winster’s Steve Salfield on saxophones, and his excellent musician friends: Reg Clegg guitars and bass and voice, Paul Biggins keyboard, guitar and bass, Karen Clegg voice, keyboard, flutes, Simon Beckett percussion, Clive Loveday drums. The group of professional jazz musicians will get together for the weekend of Nov 2nd & 3rd to enhance and update ‘JetStream’, a new piece of music inspired by the weather and climate change. They first developed and performed the suite over a weekend in May 2013 and they completed and performed the full suite for the first time on July 28th. The acoustics and atmosphere of The Old Library provide a stunning venue for this concert and with titles such as ‘The Anthropogenic effect’, ‘Sofa to the air’, ‘Carbon love affair’, ‘Troppo’, ‘Seven Seasons’, Enough is enough’, ‘Solar Storm’ and ‘Wind shakes the house’, it promises to be a diverse and captivating event. Admission £5/£3 for concessions on the door. 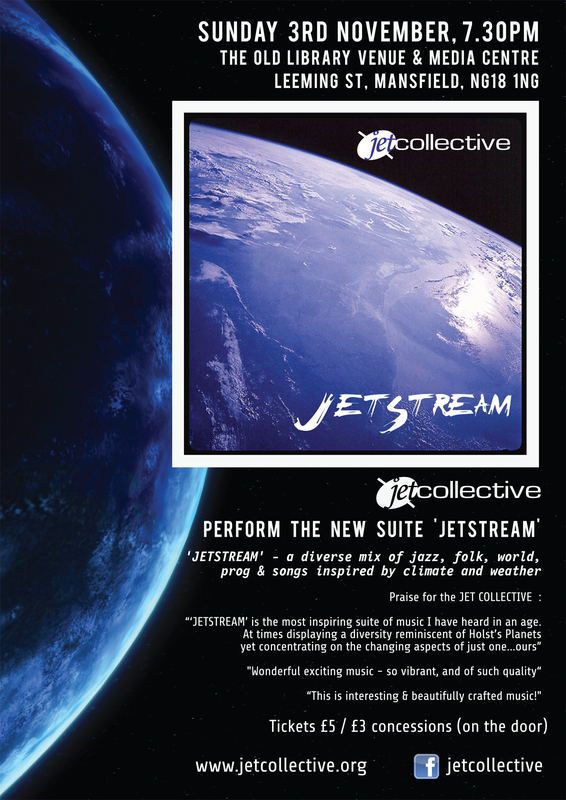 The JET Collective have expanded the new suite of music ‘JetStream’ and are going to perform the full suite this Sunday, July 28th 2013 in the wonderful space of Winster’s Church. The acoustics and atmosphere are beautiful and the initial rendition of this music got rapturous approval. CONCERT IN WINSTER CHURCH BY JET COLLECTIVE – This Sunday July 28th at 7.30 pm for about an hour and a half. 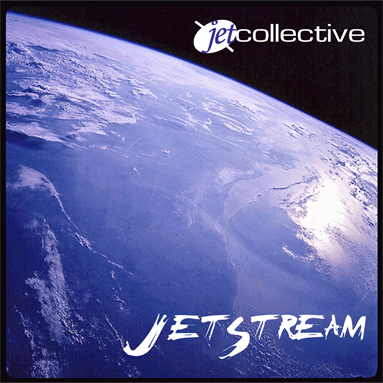 JET Collective performs the exciting new piece – ‘JetStream’ – in the Church of St John the Baptist, Elton Road, Winster, DE4 2DQ, on Sunday 28th July 2013, at 7.30 pm. 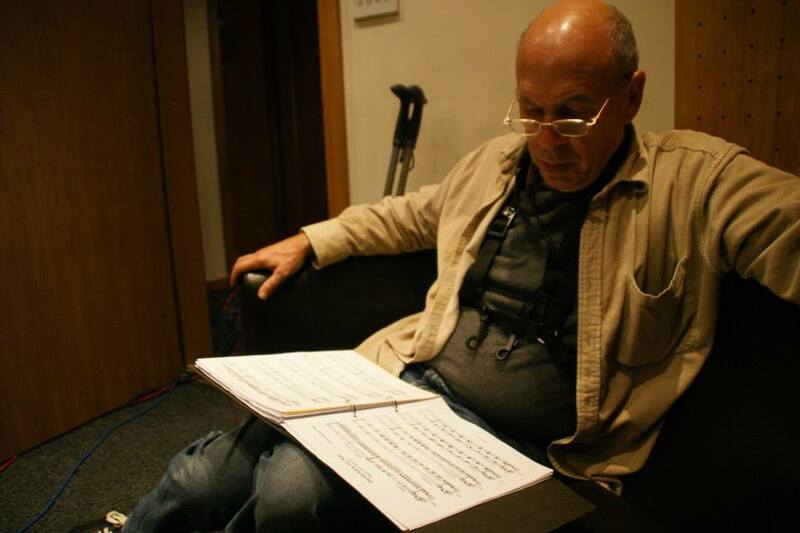 The group of professional jazz musicians will get together for the weekend of July 27th and 28th to enhance and enlarge ‘JetStream’, a new piece of music inspired by the weather and climate change. They first developed and performed the suite over a weekend in May 2013 – they will complete and perform the full suite on the Sunday evening, July 28th. The acoustics and atmosphere of Winster Church provide a stunning venue for this concert and with titles such as ‘The Anthropogenic effect’, ‘Sofa to the air’, ‘Carbon love affair’, ‘Troppo’, ‘Seven Seasons’, Enough is enough’ and ‘Wind shakes the house’, it promises to be a diverse and captivating event.